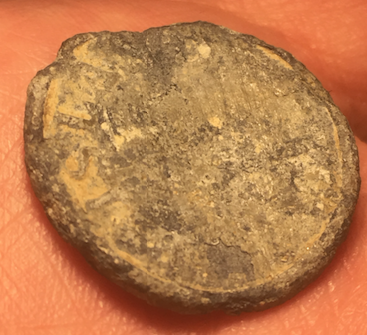 Can Anyone ID This Interesting Old Token - New Photos Added! Found this one today. Not very deep down, less than 6 inches. 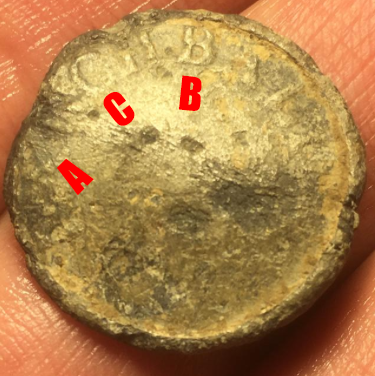 I believe it to be a token, and not a coin. It is most likely made from lead or pewter. It doesn't have a milled edge like a coin, end is relatively thick. Diameter is 21mm. Any ideas what it vaguely is? At this stage, I have no idea whatsover. Last edited by detectorman5050 on Mon Apr 15, 2019 8:34 pm, edited 1 time in total. 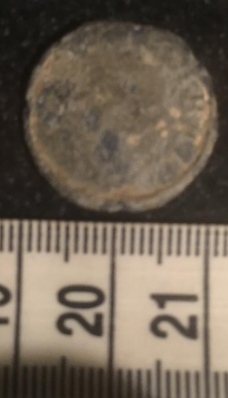 Re: Can Anyone ID This Interesting Old Token? 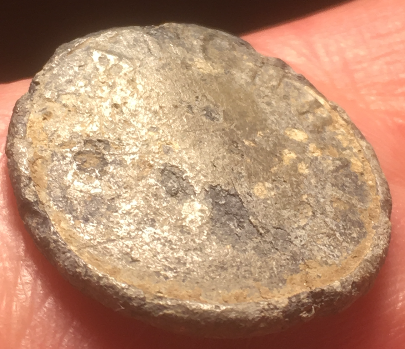 One side look like Roman coin, and other side seems to say FRISIA that is lowland Dutch. which I did see on some Bavarian leper tokens. But so few letters could just be coincidence. Yes, the photo I used for the scale is very poor, so I've uploaded two new photos, that hopefully reveal the lettering better. Photos are so much better. Deserves on ID. Looks to have enough detail. 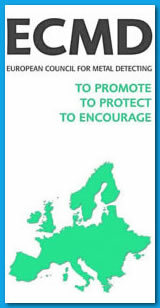 Might be worth changing the title and mention new photos added so people that have already looked at it look again. I S L A could be part of the word Island. Just a thought. 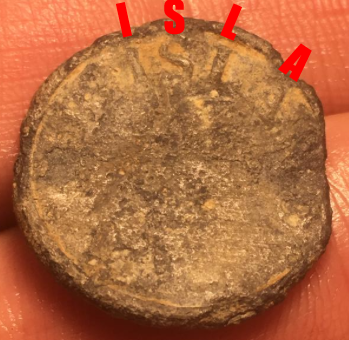 Re: Can Anyone ID This Interesting Old Token - New Photos Added! Looks like ARCHBALD and ISLAND to me? It did enter my head 'Archibald,' or similar. There would appear to be many old variations of the name, such as 'Archibaut.' It then left me thinking if it was a variation of Archibald, why would his name be on a token? That makes sense as I have seen some condor tokens for Archibald Seedsmen. (obviously not the same metal) So this could be one of theirs. Oh dear, I thought it was an ancient 'King Archibald' token for a moment! Was 'Archibald' a company name then? [EDIT] I've looked up 'Archibald Seedsmen' and they were an agricultural company located in Edinburgh. Last edited by detectorman5050 on Mon Apr 15, 2019 10:59 pm, edited 1 time in total. Joseph Archibald was a nurseryman and seedsman based in Edinburgh. He died in the Regency period so this is probably a seal from the late 18th/ early 20th century. He and his company issued trade tokens as well, but these were copper and of different design. Thanks Koala, I think mine is most likely from the Edinburgh company, and is made of lead. Thanks for all the various suggestions from different posters.